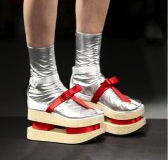 Greetings, since I am the go-to person for the latest in foot fashion (for those of you who don’t know me, this is a joke – but i do like to check out couture footwear for ideas.. So now that i’ve found a good photo of said footwear, it’s a tabi-sock inside a sandal – some at perilous heights, others at ground level. 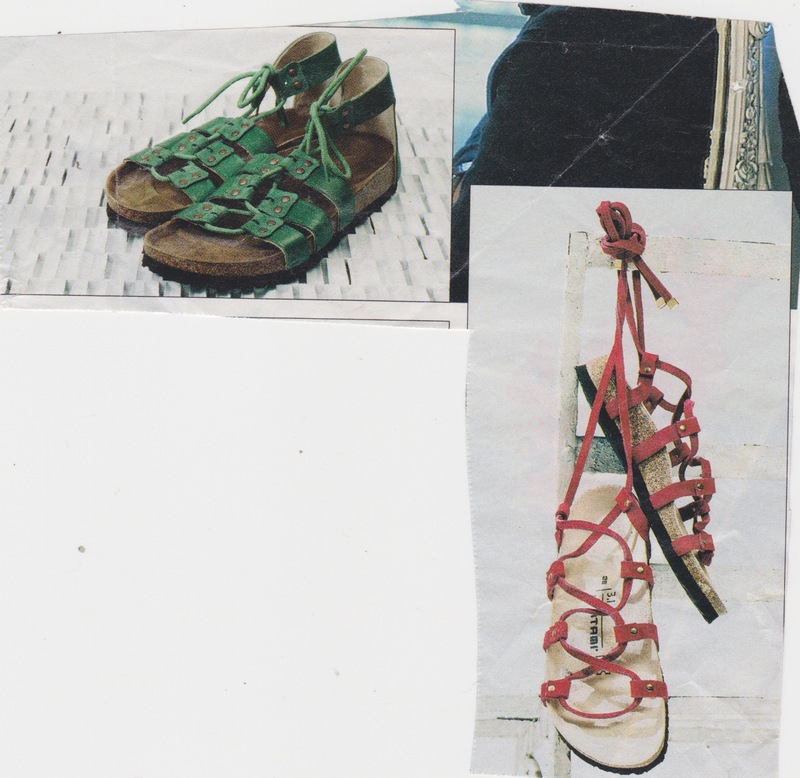 But making a sandal, with a soft leather colorful or metallic tabi sock inside it, to wear in the fall, sounds like an irresistible project. Just make your sandals – they could even be minimalist tumahumara sandals with tabi inserts, with long cords to wrap around tabi at ankle..
Whoa, I just googled “how to make tabi socks”, found that Folkwear patterns sells a pattern (I ordered it), and there is a beautiful pair of tabi socks that you can knit at http://idahostixandstrings.files.wordpress.com/2011/05/tabi-sock-pattern.pdf. Let’s have awesome feet! 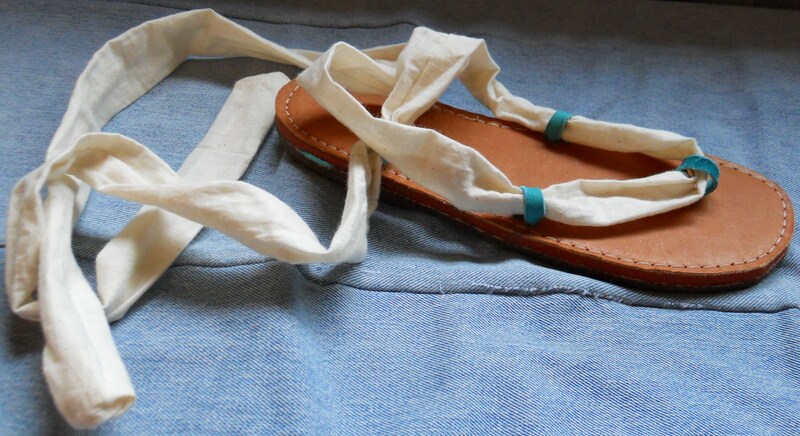 For those of you who have purchased either How to Make Simple Sandals, or How to Make the Simplest Sandals, I just made a pair of loop sandals and offer these improved directions: (1) On the pattern, two holes are shown so the loop can pass up through one and down through the other, I now don’t think that’s necessary, so you can punch one hole in the center of the two holes shown, and pull your loop material up through it. I cut a 1/2″ dowel rod and cut sections of it to put into a loop so it remains the same size while I make the next loop. I used a 3/16″ hand punch to make the holes. To pull the loop material up through the hole, I used a paper clip: one leg extended up, one-half of the “lozenge-shaped” section poked through the hole. Pull the loop through the paper clip, then pull it up and shape it over a dowel rod section. I received an email today reminding me that it has been two years since the death of Glen Leasure. 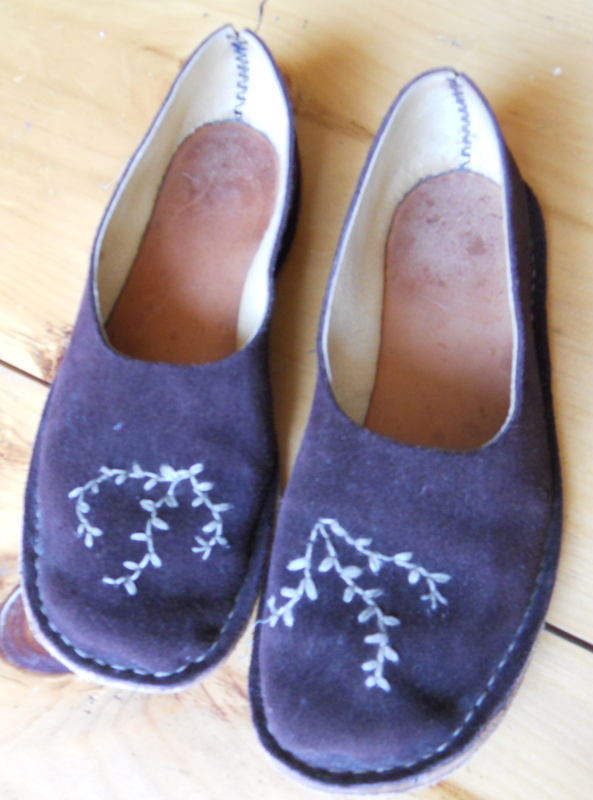 Frequently during those two years I have deeply lamented the absence of my shoemaking friend. 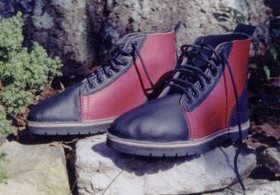 Glen Leasure and myself both took up shoemaking in the 80’s, inspired by Christine Lewis-Clark’s book The Make-it-Yourself Shoe Book. We met and realized our common pursuit when my husband, daughter and I were visiting “intentional communities”, seeking a place to live that would provide us with an extended family as well as an opportunity to share resources and live simply. We met Glen and Peggy at Common Ground Community in Lexington Va. In Lewis-Clark’s book, she taught the stitch-down process, and her belief that lasts weren’t needed for shoemaking, that instead one’s own feet can serve as lasts. (Lasts are standardized molds that shoes are built over that include adequate toe space and the desired toe shape). Glen stayed with Lewis-Clark’s teachings, and therefore each pair of boots – the footwear he most-often made – he made were custom-made over a customer’s feet or a replica of their feet. For myself, having done a lot of dress-making, I was drawn to making patterns and the using of commercial lasts. We remained constant in the support we gave each other and there was much shoemaking information that we could share with each other and we did. I was an admirer of the beauty of the boots Glen made, because he made hundreds of them and constantly worked at improving his process. 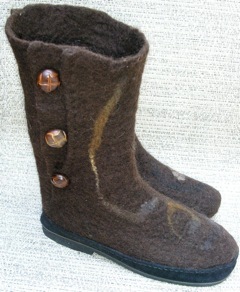 He has a dvd available on his website, www.healthyhandmadeshoes.com, describing how he made his boots. 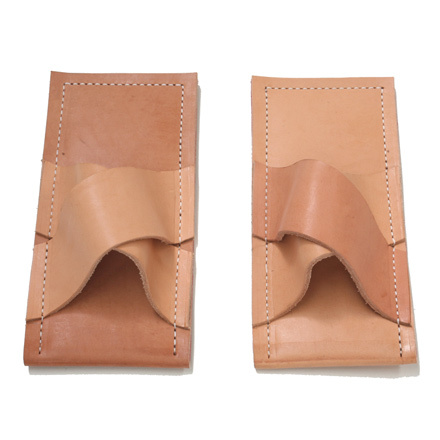 Glen aspired to teach shoemaking to those in areas of the world where foot-wear making knowledge was lacking. He spent over a year gathering materials to be used to teach shoemaking in Sierra Leone. His death after exposure to tropical diseases left his goals of helping the children there who were sickened by parasites entering their bodies through their unshod feet, temporarily incomplete. I use the word “temporary” because his family, friends and others inspired by his dedication are determined that his goals be met, and will find a way. If you’re going to Sierra Leone, please get in touch. Rest in peace, my generous friend.